LANDSCAPE, the industry’s annual meeting place, is on the 22nd & 23rd of September 2015 in Battersea Park in central London. This year as part of the shows involvement with London Design Week, LANDSCAPE are launching a new ‘Design A Tree House Competition’. With a cash prize and a 3D model produced of the wining design, it certainly seems to have caught the imagination. It is hoped that the winning design is then built as part of the 2016 event. The new LANDSCAPE website will be launched within the next week and contain up to date details of our amazing speaker programme (www.landscapeshow.co.uk). On the website you will be able to find confirmed times, titles and bios of the speakers already confirmed to be part of things this September. Amongst the forty speakers that will be taking part, Baroness Fookes will be talking about the All Party Parliamentary Gardening and Horticulture Group activities and the wider part they play. Peter Murray, Chairman of New London Architecture will be bringing us up to speed with their new developments. Jamie Eagles from the Nine Elms Regeneration Scheme will talk about the work being carried out in the Battersea area. As part of LANDSCAPE’s ongoing commitment towards uniting the industry and enhancing the professional qualifications of it’s practitioners, most of the ‘free to attend’ seminars at this year’s LANDSCAPE Show qualify for CPD learning points. The show attracts over 3000 visitors including landscape designers, architects, contractors, facilities managers, local government planners, councils and parks officers, groundsmen and interior designers to name just a few. 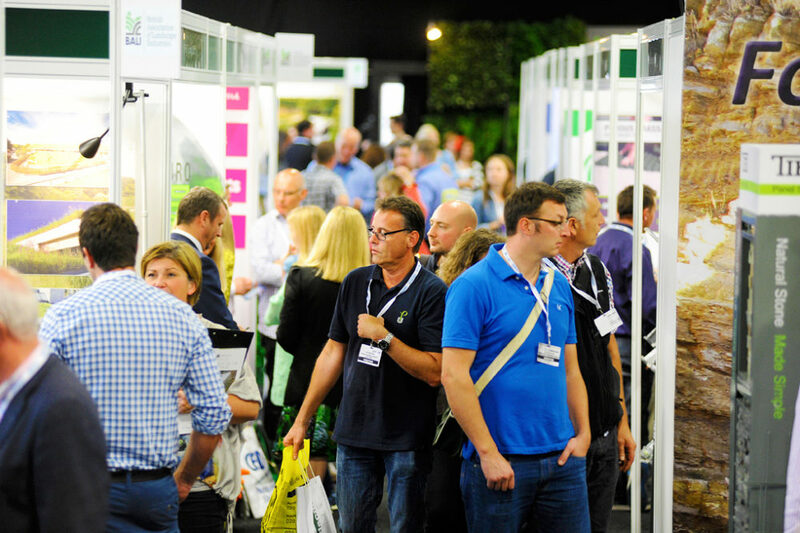 With visitors from across the world, a diverse exhibitor list, engaging seminars and backing from key industry associations, LANDSCAPE is now internationally recognised as the ‘go to’ show for the industry. Due to high demand from overseas suppliers, we are delighted showcase our International Pavilion. Focusing on the newest trends, innovative products and exciting opportunities, the pavilion will allow visitors to experience ideas from all over the World in one location. LANDSCAPE is delighted to once again support the SGD ‘Product of the Year award’. The short listed entries will be appearing at the exhibition itself with the winner announced live at the show. This year there is again a chance to ‘Meet the Media’, – your opportunity to speak direct to the journalists that cover your industry. This year the show is supported by over 15 different media titles from as far afield as America, Slovenia and Russia. Alongside them will be a special ‘Meet the Author’ desk. Come and talk to the authors of those publications that have always interested you. This year the Young Horts will again be holding their autumn conference at the show on Wednesday the 23rd of September bringing the industry up to date with their achievements across the course of the last twelve months. LANDSCAPE is truly uniting the industry and has something for everyone. Make sure you are part of it this year and visit our website for more details. Courtesy shuttle bus from Sloane Square Tube Station.